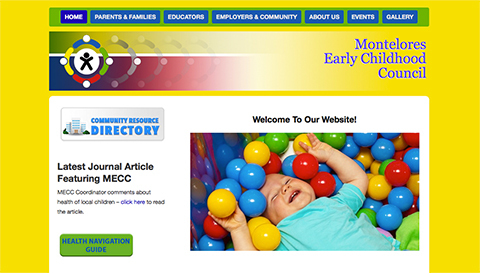 The new website for MECC (Montelores Early Childhood Council) is chock-full of goodies like an events calendar, newsletter links, resources for parents, and lots of information about early childhood programs and services. Their extensive content is the real backbone of the website, with three levels of navigation and over 80 static pages, making this a true online resource for early childhood professionals, parents, and other community members. Through our content management services, they are able to update their information several times a month without overtaxing their hardworking staff.